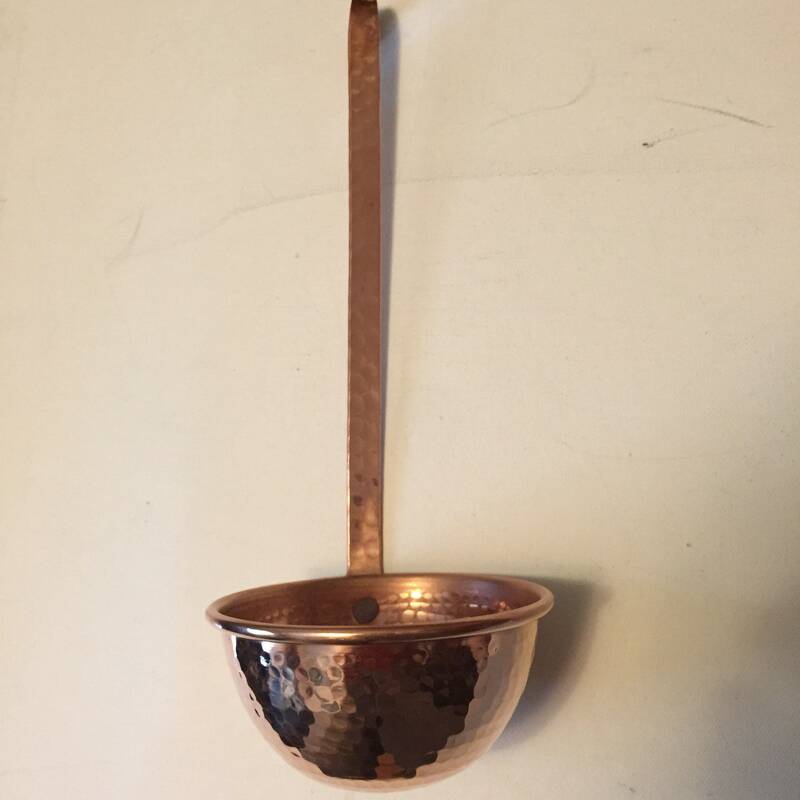 These pure copper ladles are the perfect addition for your kitchen and copper cookware. 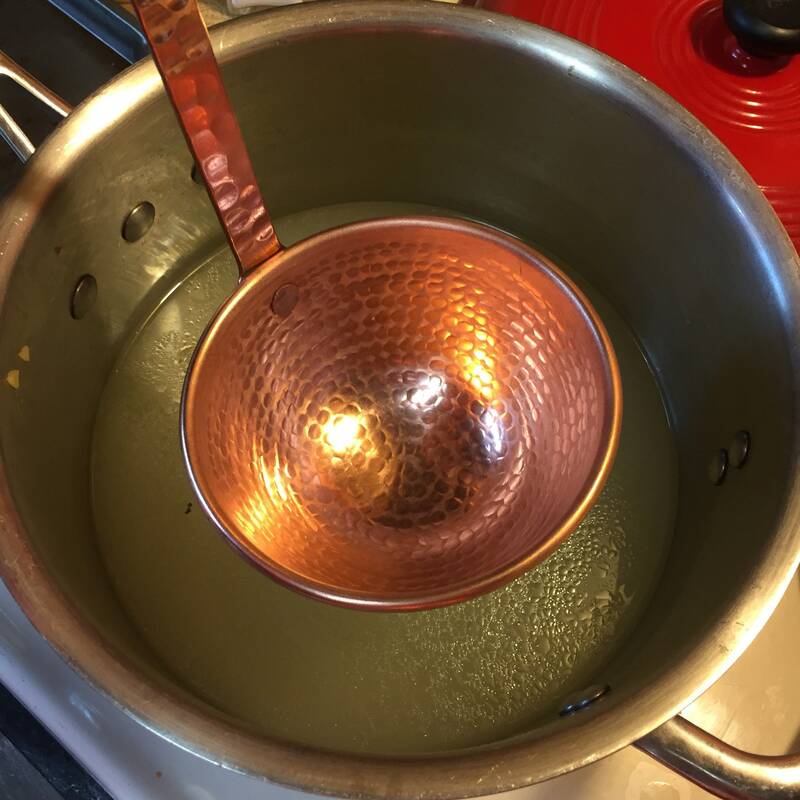 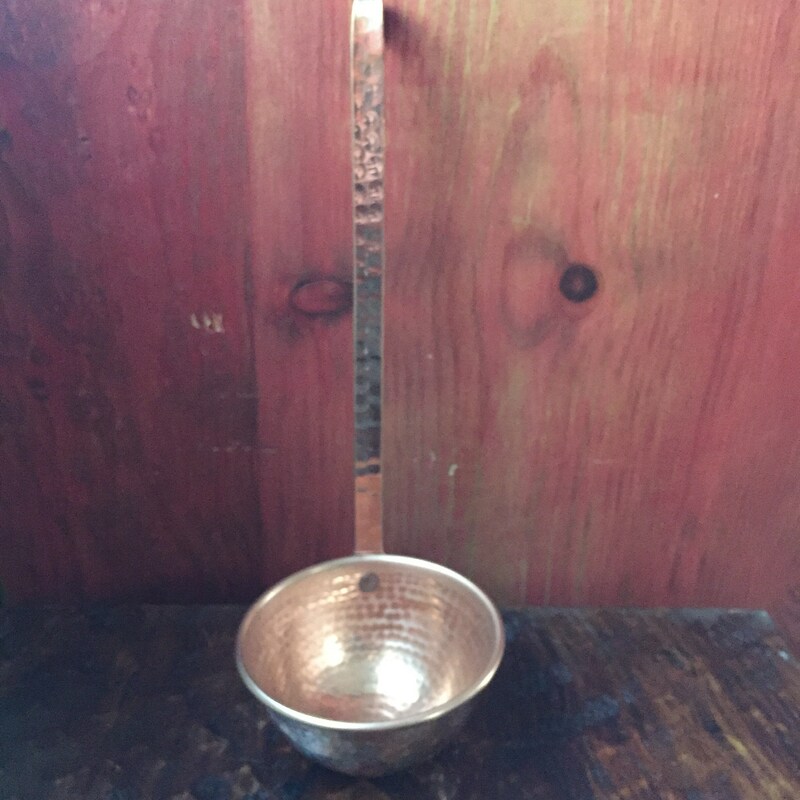 Copper ladles will last a lifetime. 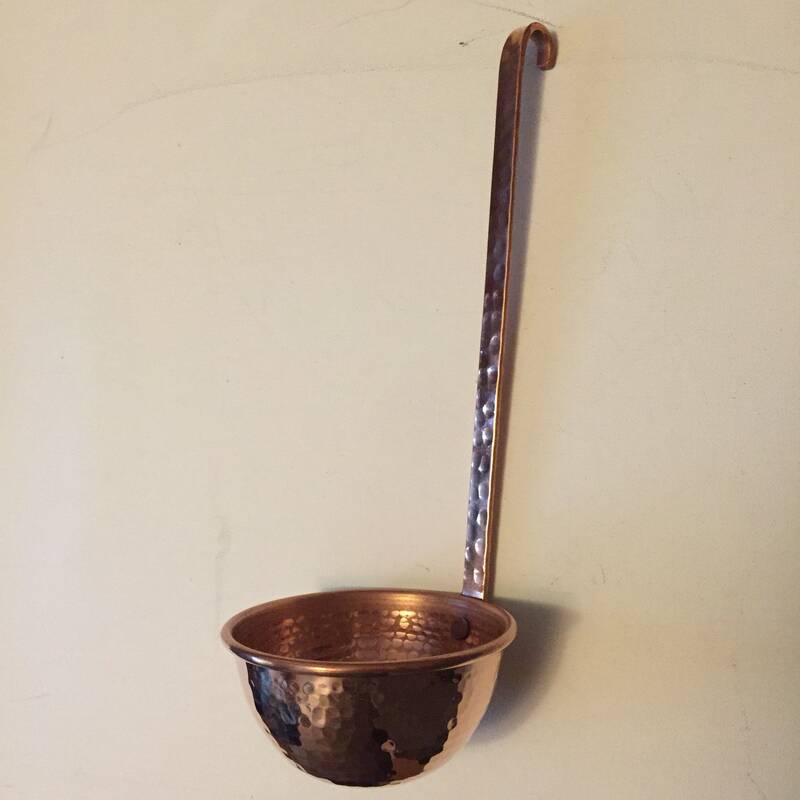 These are pure copper ladles, not lined with tin. 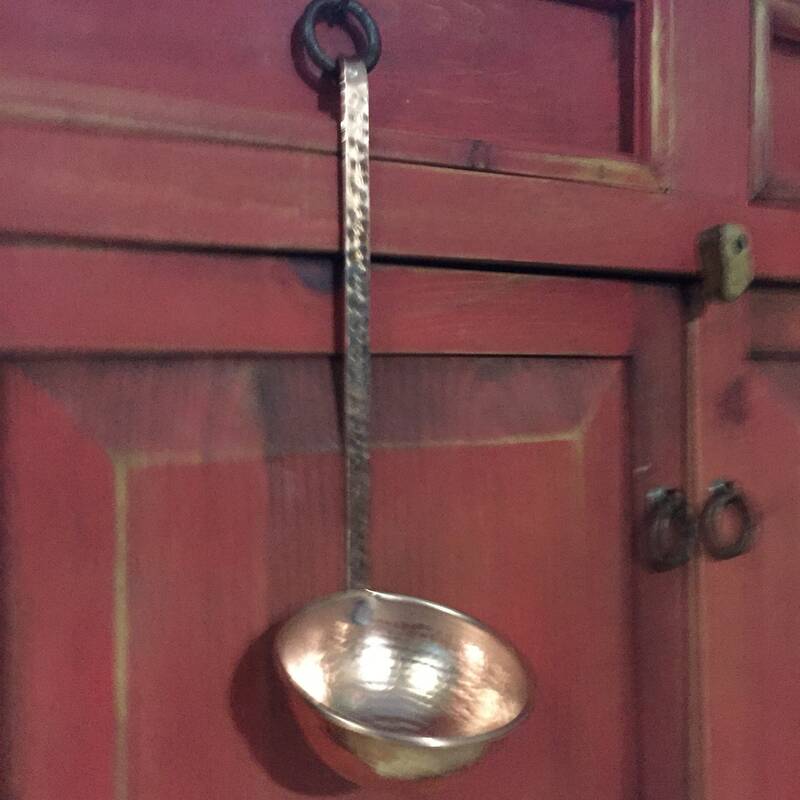 Beautiful hammered textured cup and handle. 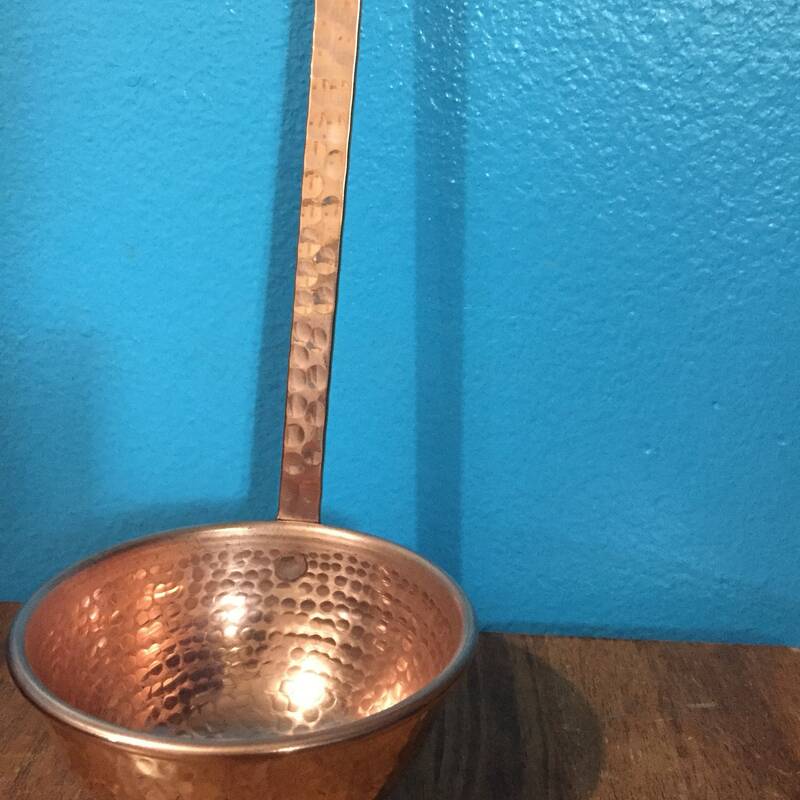 Sturdy heavy feel. 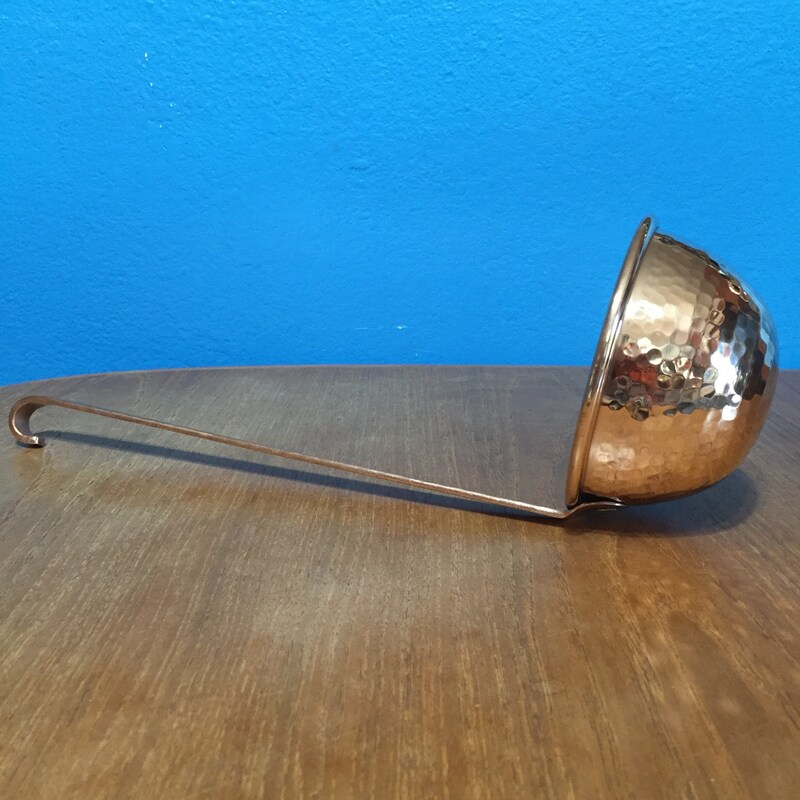 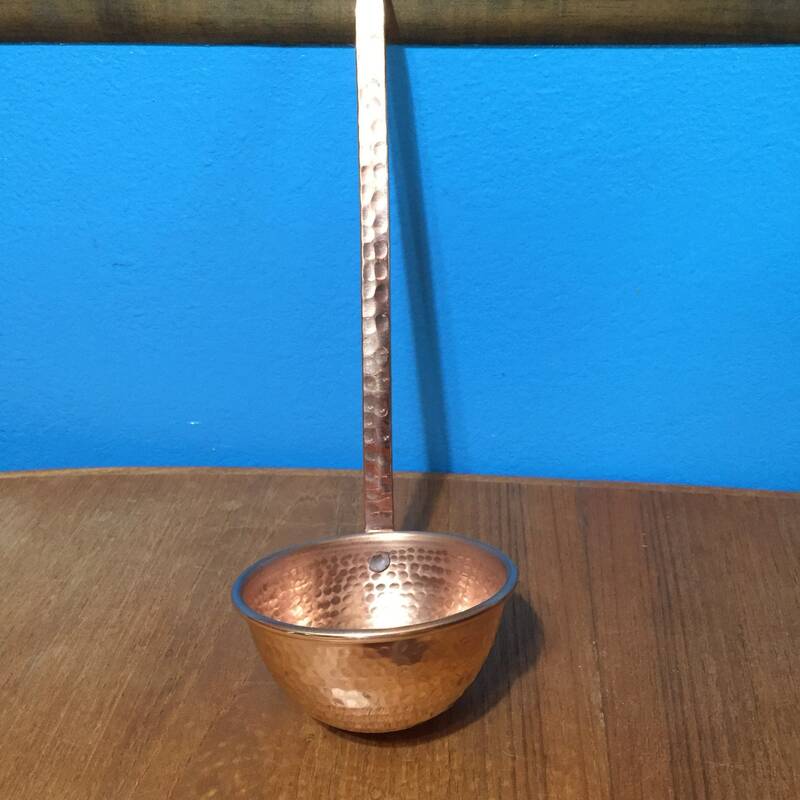 Pure Copper Ladle, hammered, 4" diameter cup, 9 1/2" long handle. 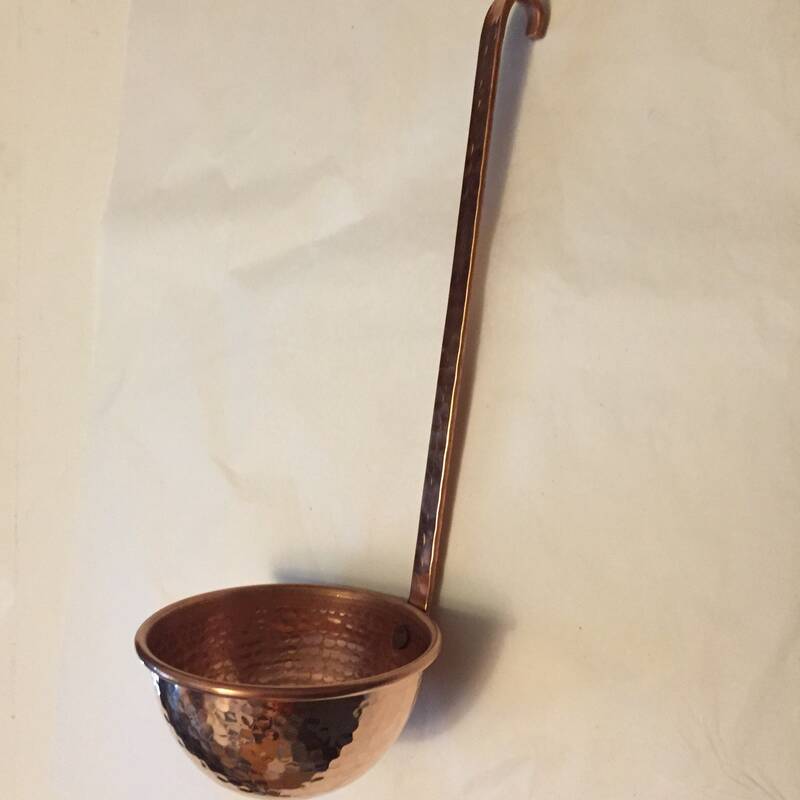 12” total length. 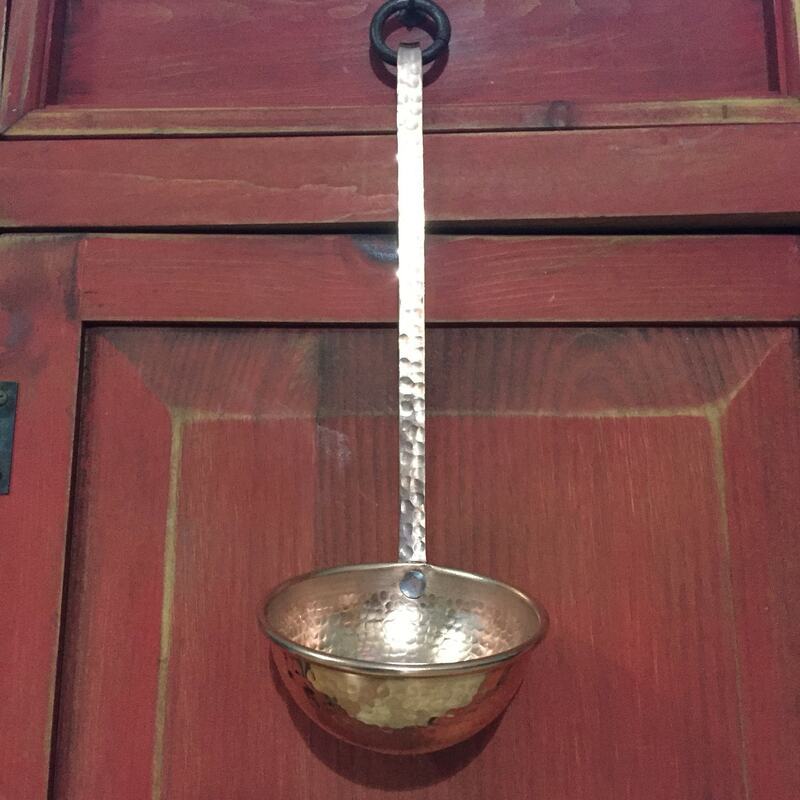 Looks beautiful hanging from our pot rack.